Should I Allow My Child to Quit a Sports Team? It’s not uncommon for kids to want to quit an activity. Whether it is a sports team, a musical instrument, or a club they’ve joined, sometimes they just don’t want to stick it out. Many parents who aren’t sure whether it’s best to let their child "be a quitter” or force her to finish what she started. When it comes to making the decision about whether you should let your child quit a sports team, there isn't one 'right' answer. Instead, you should think about what lesson you want your child to learn. If your child comes to you saying she wants to quit, do some investigating. Try to get to the bottom of why your child wants to quit. Does she get picked on by the other kids? Does her coach yell? Is she bored? Avoid asking, "Why?" as your child will likely say, "I don't know," or "I don't like it." Instead, ask questions that will give you more insight, such as,"Are there some parts you do like about it?" or "Is there anything that would make it better?" Sometimes, there are little problems or small obstacles that make things miserable for kids. A few changes could improve her perspective. If you haven’t attended any practices, it may be helpful to go watch her. You may get a better sense of what is happening when you see for yourself. Talk to the coach as well to see if the coach has noticed any problems. Once you have an answer to why she wants to quit, problem-solve the issue together. There may be a simple solution—like helping your child approach her coach about a problem or helping her speak up for herself. It’s important to consider your child’s temperament when making the decision about whether or not she should be allowed to quit. 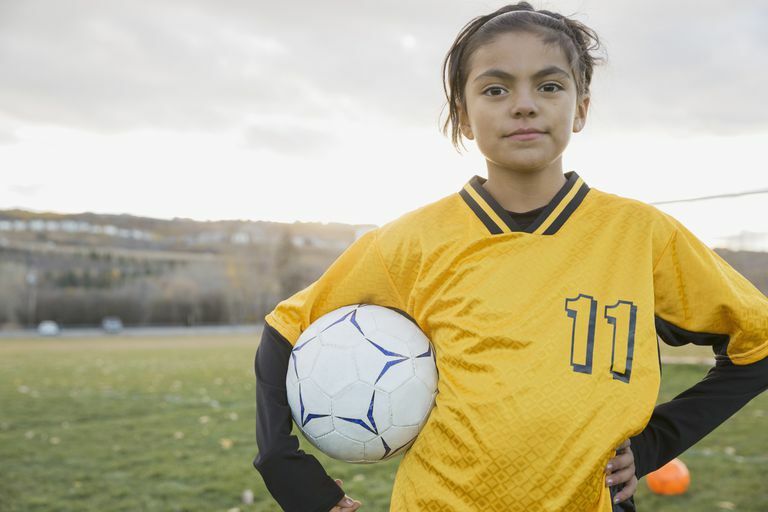 If she’s a sensitive child who is likely to quit because she’s not the best player on the team, it may make sense to encourage her to keep playing so she can learn self-discipline skills. However, a child who is highly competitive by nature, might be bored. If the team doesn't challenge her enough, she may do better on a different team. What Do You Want Her to Learn? Consider the life skills you want your child to learn and determine what this experience could teach her. Do you want her to build mental strength so she'll learn she's stronger than she thinks? Are you hoping she'll see she needs to follow through with her commitment to the team? Or would you rather she learn that it's okay to try new things and if it doesn't work out, it's fine to quit? Or, perhaps you want her to know that life is too short to keep doing something she dreads. Some families have a rule that says, “We don’t quit” and it’s important for them to always finish what they start. They may worry that allowing a child to quit will mean she always gives up when the going gets tough. They may also want their child to know that commitments are important and quitting may impact other people on the team. Other families believe that life is hard enough and if you really don’t like something, why do it if you don’t have to? Parents who take this approach are likely to be happy their child tried and would want her to know she can make choices for herself. They may also believe that forcing a child to keep doing something she doesn't like may make her hesitant to try new things again out of fear she'll be stuck doing it. You may not need to make a decision about whether to quit right now. Consider encouraging her to stick it out a little longer if you aren't sure what to do. If she’s only gone to a few practices, she may not have given it a fair try. Tell her she needs to participate for a certain amount of time before she can decide if she wants to quit. If, after giving it a fair shot, she still wants to quit, consider an alternative that may still meet her needs. If she joined a sports team because you wanted her to be physically active, is there another sport or activity that would give her exercise? If so, consider allowing her to quit once she is successfully enrolled in the new activity and make it clear to her she can’t quit the new activity. Whatever you decide to do, make sure that you and your partner present a united front to your child. If she thinks “Dad would let me quit but Mom won’t,” you’ll open the door to new problems. Talk to your partner about the issue of quitting without your child present. Come to an agreement and tell your child whatever you've decided. Make sure that you are both on board and can follow through with the plan. Remember, that whatever team she plays on or quits playing on, is less important than the lessons she'll learn. Keep the focus on turning the experience into a lifelong lesson. Morin, Amy. 13 Things Mentally Strong Parents Don't Do. New York, NY: HarperCollins Publishers; 2017. Tough, Paul. How Children Succeed: Grit, Curiosity, and the Hidden Power of Character. New York, NY: Houghton Mifflin Publishing Company; 2012.